Human resources professionals and line managers deal with some of the most difficult, complex and sensitive issues in managing the business – the people factor. Confidentiality considerations can prevent any discussion with colleagues, but sometimes you need HR advice and someone has experience in workplace relations, conflict resolution and complaints, to talk through the thorny issues. Worklogic provides wise and practical HR advice to leaders and managers, particularly at times of change and conflict. Worklogic consultants have spent decades guiding managers through the messiest, most complicated issues in the workplace. Drawing on years of experience in conflict resolution, business management, legal practice and workplace relations consulting, we can support you to handle the most intractable issues. We can come to your workplace or meet off-site for confidential discussion. We listen to the issues you are grappling with, and provide mentoring, advice, coaching and referrals. We provide calm, reasoned and sensible guidance. We explain and discuss the options, and talk through with you the pros and cons, risks and opportunities, so you can get your team back to business. Worklogic is often brought into the workplace to explore concerns and risks, and to address workplace-wide problems. The combination of workplace experience, creative thinking, legal and risk training, and practical focus gives us a unique perspective. Worklogic’s consultants are highly skilled researchers, problem-solvers and on-the-ground aides to senior executives and in-house counsel. We take a sophisticated and practical approach to strategic and operational projects in corporate ethics and workplace behaviour. 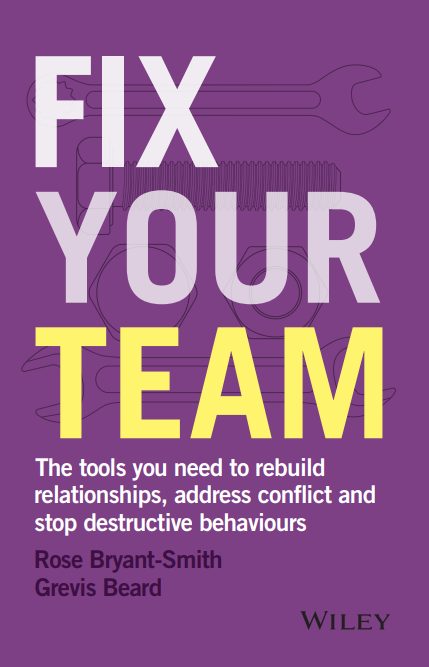 Worklogic assisted a large employer to address major dysfunction in a team (including gossiping, disrespect of the line manager and undermining change initiatives). We developed coaching for the line manager, training for the team around values and behavioural expectations at work, and a follow-up process to ensure that the new standards were consistently applied and reinforced. A division of a major tertiary institution had suffered repeated turnover in a particular role, problems with staff morale and apparent confusion over strategy and deliverables. After interviewing staff at all levels, we recommended a minor restructure, review of reporting lines, coaching (and likely exit) of one executive and a clarification of purpose and accountability for all. The client reported a significant improvement after 2 months, and the division is stable and performing two years later. Developing and running a Culture Change Program – Focusing on flexible work practices and employee retention, Worklogic worked with a major international manufacturer to improve the cohesion and equity in the workplace, with flow-on benefits in productivity, team effectiveness and morale. Focus Group Facilitation – A workgroup was developing a malicious and divisive culture. Left unchecked, the business expected the workgroup to implode with bullying complaints and resignations. In a series of workshops developed around the company’s Code of Conduct, Worklogic worked with the employees to explore the reasons for disharmony and define new ground rules for working together. Complaints-Handling Review – In response to a formal direction from a government regulator, Worklogic was engaged to undertake a qualitative and quantitative review of an organisation’s complaint files over the past 5 years, and to formulate recommendations for process improvement. Worklogic has recently provided HR advice and supported managers to handle these complex cases. An individual employee with possible psychiatric problems was posing health and safety risks to his colleagues. A poor performer, the employee had accused colleagues of harassment and lodged a WorkCover claim. Working alongside the organisation’s lawyers, we developed a plan for responding to the employee’s complaints, improving his performance and behaviour at work, and protecting the wellbeing of the team. Senior managers struggled to control a rogue employee who was potentially involved in fraudulent warranty claims, rorting the commissions system, and encouraging other staff to disobey company procedures. Worklogic coached the managers behind the scenes, created a script for the performance management and misconduct discussion, and negotiated with the union in relation to disciplinary action. After a formal workplace investigation involving assault and sexual harassment, Worklogic worked with the HR managers to manage the wellbeing of those involved, provide coaching for related line managers, and formulate options for the organisation in dealing with the accused employee. No matter what issue is troubling you in the workplace, you can rely on Worklogic for wise, practical HR advice. Book an obligation-free, confidential consultation to discuss your workplace challenges and objectives with our HR experts.